Chaque mois, Euradionantes vous présente un label européen à l’antenne et sur le site internet. Gagnez des disques du label du mois d’Octobre 2018 en envoyant un mail à musique(at)euradio.fr en indiquant « HEAVENLY RECORDINGS». 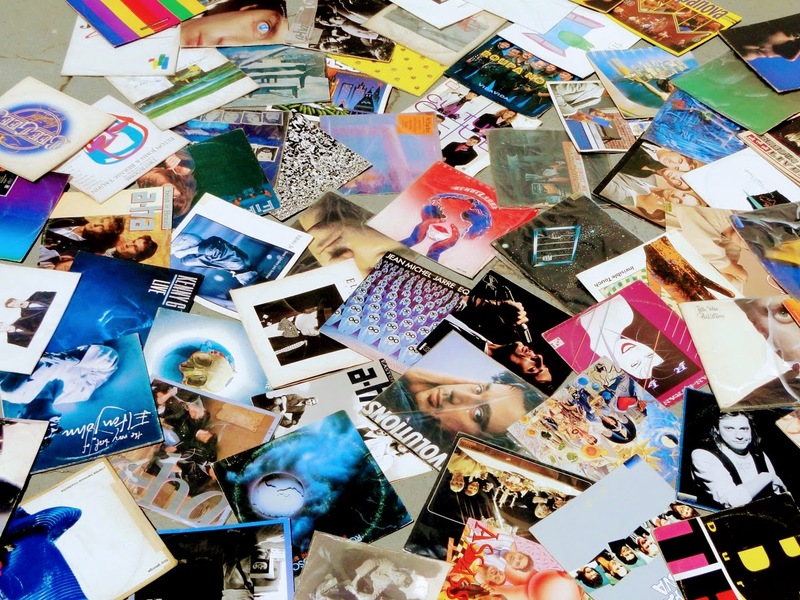 On paper, Heavenly is a UK independent label founded by Jeff Barrett back in 1990, but anyone who really knows Heavenly is aware of its importance, its relevance, its deep-rooted brilliance and uncompromising naughty, chummy magic that flows throughout everything they do. The Heavenly family possess a borderline-spiritual love for music, expressed with an old-school friendliness that you just don’t tend to come across as much these days. For 28 years through an ever-changing musical landscape Heavenly have developed a sort of teflon cloak borne out of the purity of their intent and uncompromising quest for quality. Their unflinching dedication to good music and their razor-sharp ability to detect artists who can trigger specific, indefinable feelings, is second to none. While their hedonistic history is one of infinite musical anecdotes, one thing they’re not keen on is dwelling too much on the past. These days they’re currently representing nearly 30 of the most exciting and loveable bands and artists recording today, in a roster that’s never been better or more far-reaching. From Australia there’s the raucous sweatfest of King Gizzard and The Lizard Wizard who put out not one but five albums in 2017, shimmering shoegaze by way of new Heavenly’s brand new signing Hatchie, and the bonkers and epic Confidence Man who have somehow managed to invent a whole new style of dance music. 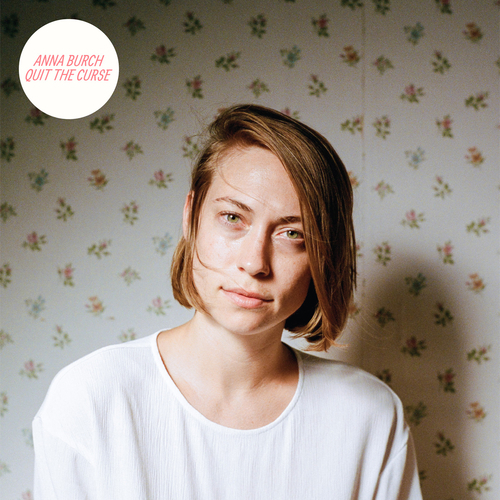 From the US you’ve got the fast-paced guitar seduction of Night Beats, the sweet and tender sounds of Anna Burch. Then you’ve got the Welsh contingency: the inimitable Gwenno and Huw Hawkline and then the newly-signed artist and Cardiff’s answer to William Onyeabor, Boy Azooga. Two other exciting new signings come in the shape of Dan Stock: a young man from Milton Keynes who’s like a love-child of Billy Bragg and Bruce Springsteen, and audiobooks: David Wrench and Goldmsiths fine art student Evangeline Ling on a quest to create a collection of stone cold, avant garde party bangers. 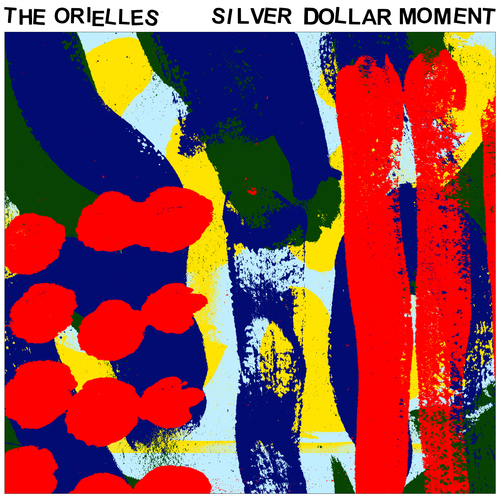 Other new signings include Halifax’s finest The Orielles, Dutch pop wonder Amber Arcades and mesmerising Parisian artist Halo Maud. 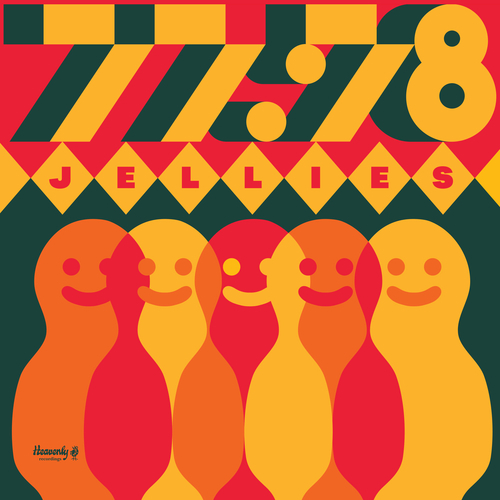 Elsewhere on the current roster lies the Prince of Tears himself Baxter Dury, the legendary Mark Lanegan, Liverpudlian trio Stealing Sheep, Duke Garwood, The Parrots and the new and very exciting 77:78. One more artist that the label is very excited about is Mattiel: a rather extraordinary multidisciplinary visual and audio artist from the US whose ridiculously catchy and upbeat songs are brought to you by Heavenly as a way of opening up the gateway to the summer. You can thank them for that later. 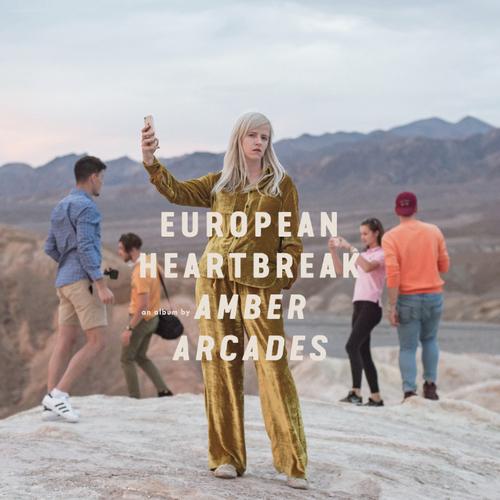 Amber Arcades, the moniker of the Dutch-born musician Annelotte De Graaf, announces details of her second album, European Heartbreak, set for release on 28th September 2018 via Heavenly Recordings. 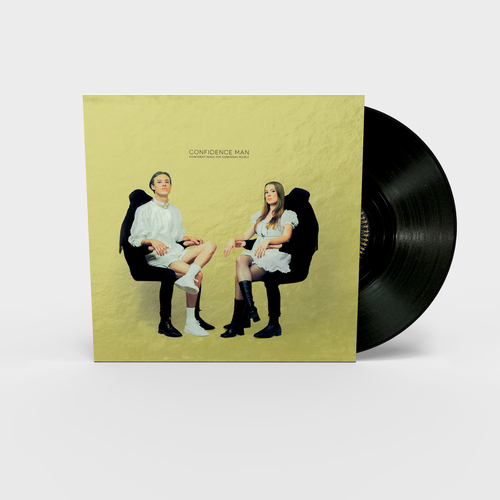 European Heartbreak was recorded and co-produced in LA with Chris Cohen from Deerhoof and in Richmond, Virginia with Trey Pollard (Natalie Prass, The Waterboys, Bedouine) who oversaw horn and string overdubs from Spacebomb. 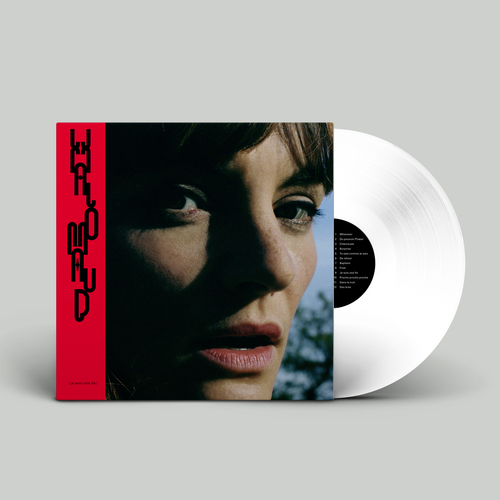 A vast step forward from her critically acclaimed debut album Fading Lines, this selection of songs flit around Europe, from Berlin to Spain to the south of France. It’s European not just in lyrical theme but in the sly sophistication of its music: songs that carry with them the air of open-topped cars on clifftop roads, of cocktails on the terrace at sunset. And then the lyrics undercut that sunny mood, artfully and skilfully. European Heartbreak is about the nature of past and memory and our tendency to over-romanticise the events of our lives. It also deals with the passage of time, the relationship between past, present and future. And what is revealed, as the past is examined, is the disillusionment that had been concealed behind the carapace of romance. “Alpine Town”, “Oh My Love”, “Something’s Gonna Take Your Love Away” and “Goodnight Europe” encapsulate the album, digging into the themes of the record the most. 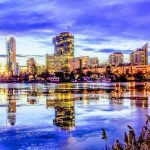 Tourism, the romanticising of the past and of new love, how everything moves in cycles, the way things always change but never really change, our fluid concepts of nationality and identity… Both in politics and in love. European Heartbreak is an album that feels devastatingly truthful, precisely because it admits the lies. 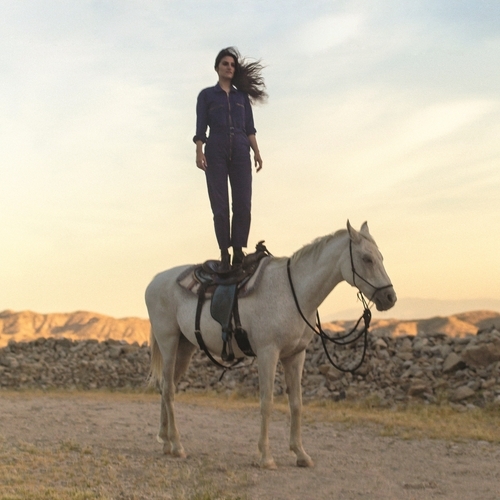 After recording sessions in LA, Annelotte embarked on a week-long road trip through California’s national parks ending up in Death Valley, viewing the sunset from a famous vantage point. Surrounded by tourists with their smartphones, all very much not of their environment, the moment captured the sense of alientation that haunts the album’s 11 songs. Everything clicked, it all came together: our quest for meaning, our ongoing existential crisis, our desire to live life to the fullest, and our need to convince ourselves we are doing so and to try to prove it to the world: through something as mundane as holiday photos. Photostaken at this moment would end up forming the album artwork and imagery. You can take all that from European Heartbreak. On the other hand, of course, you can just hear one of the year’s best pop records, and relish the skill of the writing, the depth of the production, the insidiousness of the melodies. It depends how far you want to lift the veil of life. InCrowd’s founders, both skilled multi-instrumentalists, met in 2014, as session musicians touring with soul man Curtis Harding. Michael – an experienced player who’d co-written with Harding and racked up impressive session spots with the likes of Bruno Mars, and The Next Day-era Bowie – played guitar, while Swilley ­(producer, writer and performer since age 9 and younger brother of Black Lips bassist Jared) played drums. On the road, they bonded over a mutual love of vintage R&R and ‘90s rap. “We discovered we both loved The Beatles as much as Jay-Z, Dylan as much as the Arctic Monkeys,” remembers Swilley. Back in Atlanta, once the Harding tour had wrapped, the pair formed a band, Black Linen, writing reverb-washed guitar music inspired by Tarantino soundtracks, by way of ‘60s Cambodian psych. Boy Azooga’s debut album, 1, 2 Kung Fu, is piloted by Davey Newington, a young man with much musical heritage. One of his granddads was a jazzer who played drums for the Royal Marines. Davey’s dad (violin) and his mum (clarinet) both played, and met, in the BBC National Orchestra Of Wales. Davey himself also enjoyed orchestral engagement, playing in various Welsh Orchestra’s and Jazz bands as a teenager. Davey took up the drums at the age of six. More recently, and operating as one Bongo Fury, he became the rhythmic pulse for Charlotte Church’s Late Night Pop Dungeon, sat behind the kit as Charlotte plied joyous pop hedonism to Glastonbury and beyond. This would have been enough for some, but now Davey returns as Boy Azooga. The oldest song on the debut album is Hangover Square, titled after Patrick Hamilton’s celebrated and blackly compelling 1941 novel of the same name. The book was given to Davey by his dad as Davey left home at the age of 18. He was so taken with the novel that he almost immediately turned the book’s narrative into a song. Now, completing a circle, Newington senior plays strings on the Boy Azooga album. Davey plays everything else. Davey’s vocals and arrangements carry the tunefulness of The Super Furry Animals. But the palette extends far beyond singer-songwriterly poignancy. 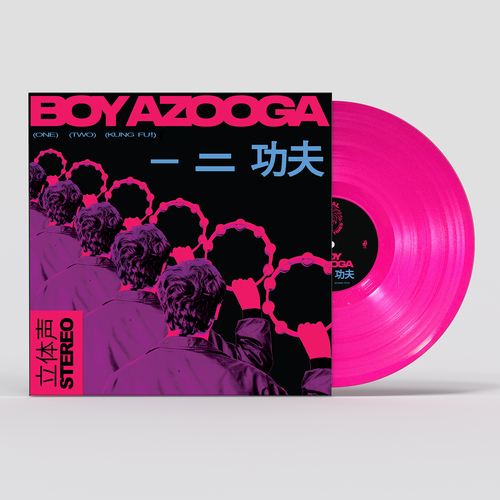 Davey recruited friends Daf Davies, Dylan Morgan and Sam Barnes to form the Boy Azooga live quartet, an ensemble that swings smoothly from filmic instrumentals to a churning, rave-tinged rock that hints at both Can and their progeny in Happy Mondays. Over the last decade, Lanegan and Garwood have worked in tangent on 2013’s Black Pudding as well as on Lanegan’s solo records (Garwood contributed to 2012’s Blues Funeral and 2017’s Gargoyle after which he toured as part of Lanegan’s band). Writing and recording was split between studio collaboration and sharing music between Garwood’s home in London and Lanegan’s in Los Angeles. Elsewhere, technology helped make the duo’s transatlantic working relationships relatively easy. While Black Pudding put Garwood’s mercurial guitar centre stage, With Animals is constructed from a different set of tools. 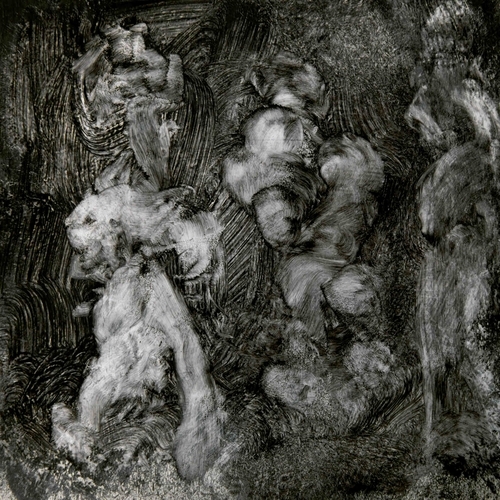 Analogue and dust flecked, it sounds like Lanegan and Garwood have been holed up in a ’60s recording studio while the apocalypse rages outside.  Tracks sit on loops that sounds like they’re straight out of There’s A Riot Goin’ On while sparse melodies nod in the direction of British electronic producers like Burial or Boards of Canada. Which is not to say it sounds like any of those things – this is a weird world all of their own design. Je Suis Une Île n’est que son premier album et pourtant, Maud Nadal alias Halo Maud peut déjà se tarir d’un CV plus que flatteur. Révélée en 2015 sur une compilation de la Souterraine, la jeune auvergnate n’a cessé ces dernières années de multiplier les collaborations, en accompagnant notamment sur scène ses amis de Melody’s Echo Chamber et Moodoïd, en écrivant pour Christophe, ou encore en apparaissant aux cotés de Marietta ou des canadiens de Corridor. Au fil de ces diverses expériences et rencontres, la jeune française a pris le temps, et en a profité pour peaufiner son écriture et ses chansons. Après avoir publié un premier EP l’an dernier, c’est finalement en ce printemps 2018 qu’elle décide de dévoiler le véritable premier chapitre de sa discographie. Résultat ? Un album en deux langues, digne et concret, captivant et ambitieux, et envoûtant du début à la fin. Instrumentalement, les pistes naviguent ici entre les sonorités de Blonde Redhead et celles de AIR, entre douceurs psychédéliques et dream pop onirique (Wherever). Les envolées vocales de Maud rappellent parfois celles de Kazu Makino (Du Pouvoir/Power), voire celles de Björk (Tu Sais Comme Je Suis), mais sans pour autant manquer de caractère personnel ni de singularité. Les nappes synthétiques s’entremêlent d’arpèges de guitares distordues et de rythmiques décomplexées, et chaque titre révèle au fil des écoutes sa réelle profondeur comme son rapide magnétisme (Surprise, Proche Proche Proche). The nine songs that comprise Quit The Curse come on sugary and upbeat, but their darker lyrical themes and serpentine song structures are tucked neatly into what seem at first just like uncommonly catchy tunes. Burch’s crystal clear vocal harmonies and gracefully crafted songs feel so warm and friendly that it’s easy to miss the lyrics about destructive relationships, daddy issues and substance abuse that cling like spiderwebs to the hooky melodies. The maddeningly absent lover being sung to in “2 cool to care”, the crowded exhaustion of “With You Every Day” or even the grim, paranoid tale of scoring drugs in “asking for a friend” sometimes feel overshadowed by the shimmering sonics that envelop them. If Janet Planet, Sugar Bones, Clarence McGuffie and Reggie Goodchild weren’t a band already you’d be snapping at their heels demanding they form one quick-sharp. Fact is, they are, and on Friday 13th April 2018 they release Confident Music For Confident People, their 11-track debut album for Heavenly Recordings. The band have already offered a glimpse of what’s in store on Confident Music For Confident People – recent tracks Boyfriend, Bubblegum and Better Sit Down Boy were big and brash and bright as hell, like Dee-Lite tooled up and ready for our berserk modern times. How they formed is a matter of debate. Confident Music for Confident People sets eleven tales of 21st century ennui to irresistible, irrepressible dance music. The opening lines of Try Your Luck (“I must confess/I’ve been sleeping with your ex/’Cos I heard he was the best/I must confess/I never would have guessed he would get so obsessed… I’m not surprised”) set the tone perfectly for what follows. Here is a set of songs that take the kind of all-consuming interior monologues that bored, disaffected youth are wrestling with the world over and places them square in the middle of the dance floor before adding call-and-response choruses for good measure – it’s the best collection of perfect pop music you’ll hear all year, the perfect embodiment of the characters that made it that somehow manages to be both wildly ambitious and deceptively simple at the same time. Ils l’ont fait ! King Gizzard & The Lizard Wizard a bien tenu leur pari: celui de sortir cinq albums pour l’année 2017. Il est vrai qu’on commençait à s’inquiéter en ces derniers jours de 2017 parce que Polygondwanaland (chroniqué ici) datait de novembre dernier tout de même. Et bien coup de théâtre, leur cinquième opus Gumboot Soup est dans nos oreilles depuis le 31 décembre dernier. De quoi passer le réveillon avec de bonnes oreilles. Chaque album de King Gizzard & The Lizard Wizard apportait cette question suivante: à quoi s’attendre avec eux cette fois-ci ? Stu Mackenzie et ses compères ont décidé de marcher sur la lignée de Polygondwanaland mais en moins progressif cette fois-ci. 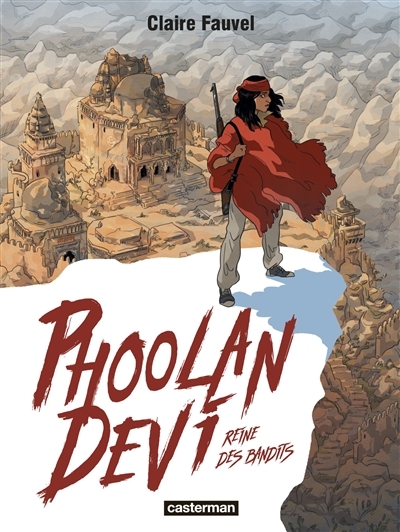 C’est-à-dire une sorte de best-of de tout ce qu’ils ont pu accomplir cette année, privilégiant l’efficacité plutôt que la cohérence au niveau du contenu. 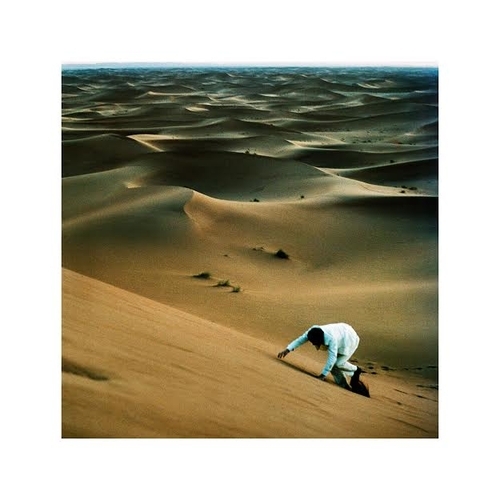 Dès lors, on retrouve aussi bien les sonorités orientales de Flying Microtonal Banana (« Greenhouse Heat Death », « Muddy Water », « All Is Known »), heavy de Murder of The Universe/Nonagon Infinity avec le doom furieux de « The Great Chain of Being » mais encore jazzy dignes de Sketches of Brunswick East avec l’estival « The Last Oasis », « Superposition » (où Stu Mackenzie aura recours à l’Auto-Tune) mais également « The Wheel » qui clôture le bal avec une grande classe. Une petite incursion du côté de Paper Mâché Dream Balloon ne fait pas de mal avec les insouciants « Beginner’s Luck », « Barefoot Desert » et « I’m Sleepin’ In » tout comme des moments plus originaux comme le funky « Down The Sink » avec bien sûr ce soupçon de psychédélisme qui leur est bien familier. 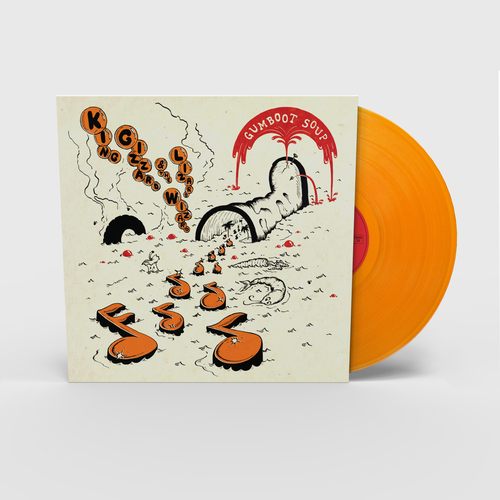 Quoi qu’il en soit, Gumboot Soup est un bon moyen pour King Gizzard & The Lizard Wizard pour clôturer leur folle année 2017 avec un disque comme cerise sur le gâteau. Non seulement on retrouve tout leur savoir-faire qu’ils ont accompli depuis peu mais en plus de cela, ils font parti de ces rares groupes qui ne perdent aucune once d’inspiration. En passe de devenir le meilleur groupe de rock psychédélique du monde, quelque chose me dit qu’ils vont remettre le couvert pour 2018. Written entirely in Cornish, Le Kov is exploration of the individual and collective subconscious, the myths and drolls of Cornwall, and the survival of Britain’s lesser known Brythonic language. As one of the language’s few fluent speakers, Gwenno felt a duty to make her second album entirely in Cornish: to create a document of a living language, explore her identity and the endless creative possibilities of a tongue that has a very small surviving artistic output, despite having been around for at least 15 centuries. She dove deep into research, learning about attempts to protect and progress the language and the role of women throughout Cornish history. When Gwenno considered the legends of sunken Brythonic cities Cantre’r Gwaelod, Kêr-Is, Langarrow and Lyonesse, she knew she had her starting point. 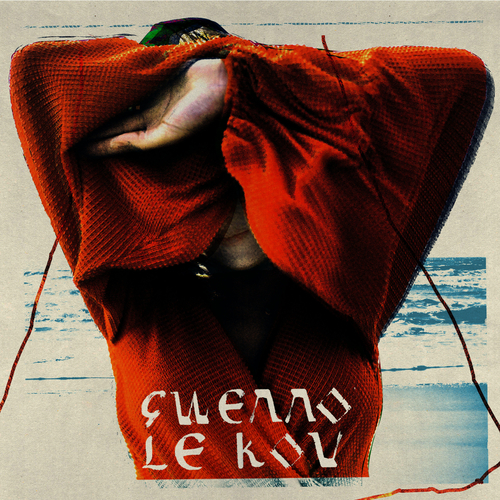 These cities evoked her idea of language as its own form of psychological territory, a concept perfectly distilled by the Cornish title for the album, Le Kov – the place of memory. Intensely personal, yet brutally open, this is Baxter’s fifth album and his most ambitious and biggest work to date. Whilst retaining the natty charm of his previous works, like his debut Len Parrot’s Memorial Lift or the acclaimed Happy Soup, Baxter this time worked with a full band and orchestra to truly bring the soundscapes of his emotional netherworld to life. ‘The Album is full of little fictional snapshots based on actual experiences’, Baxter says of the ten songs. ‘They’re biographical film soundtracks for an imaginary film about myself, which is fictional. The man singing and speaking it all is unreliable; he can’t see the world properly. Its massively delusional, but because of that it’s also emotionally true’. 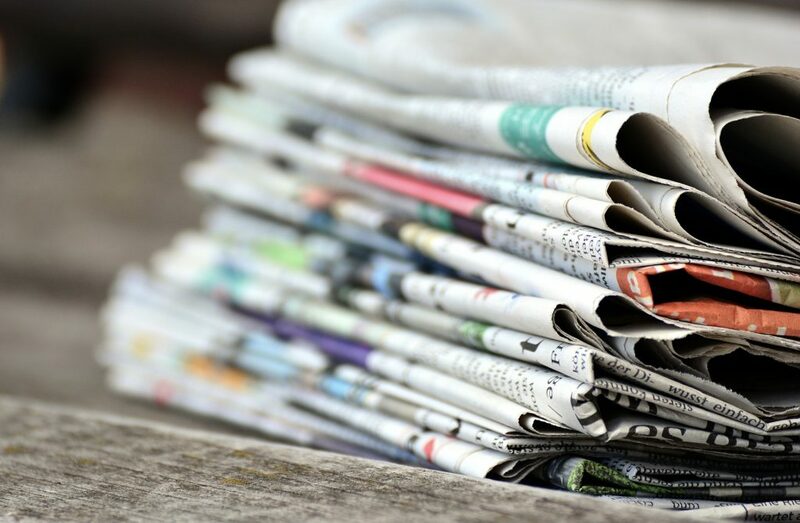 La revue de presse : Venezuela, jusqu’où l’ingérence peut-aller ?